This was given to me by a friend from Australia about 40 years ago. It was given to him by Jim Duckham, now deceased, of Duckham oils, who used to live near Reading. 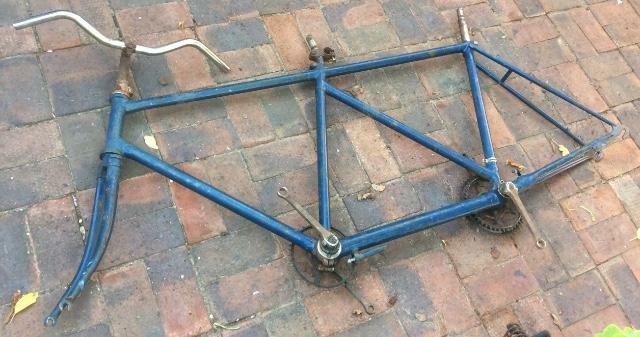 It has a SA 3 speed and rear drum brake, plus cantilevers that clamp onto the frame. The wheels are not original, I had new ones made (incorporating the rear hub) about 20 years ago.